One of the biggest complaints I hear from foreigners who travel to India is that the crowds and noise can be distressing. This can be even more overwhelming if you’re an introvert, like me. People and noise drain my energy and tire me out very quickly. But India is not all crowds, noise and beggars. If you hate these, then I recommend you avoid all Indian cities, except as layovers, because you will find these three things in abundance in most cities. Even though Indians are not known to have a concept of personal space, it’s possible for introverts to find destinations, in this vast country, where they’ll get nothing but peace and quiet. I know, because I found some of these places by actively looking for them. So, if you love a quiet holiday, whether by the beach or in the mountains or the forests, here are five delightful destinations where you can avoid the crowds and follow your bliss. 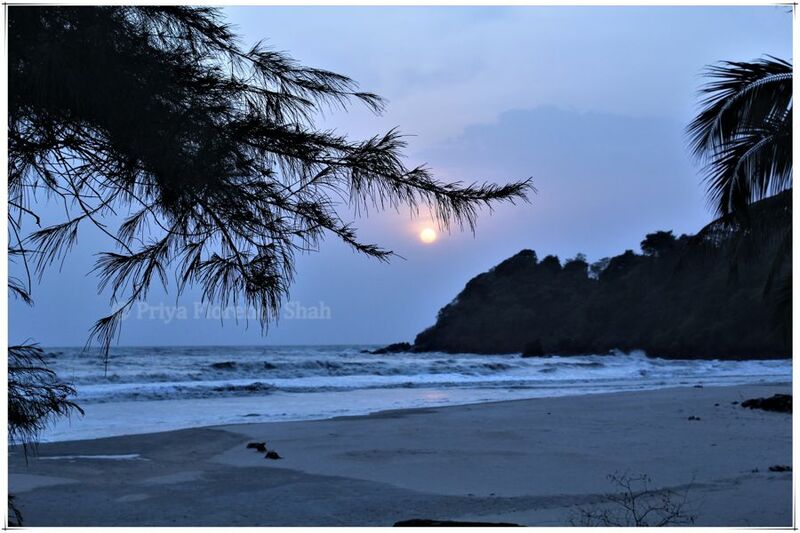 I went to Talpona Beach, Goa, in May 2018, because I wanted to take a road trip with my family and my two Labradors. I know Goa pretty well, having lived there for two years when I was completing my Masters at Goa University. 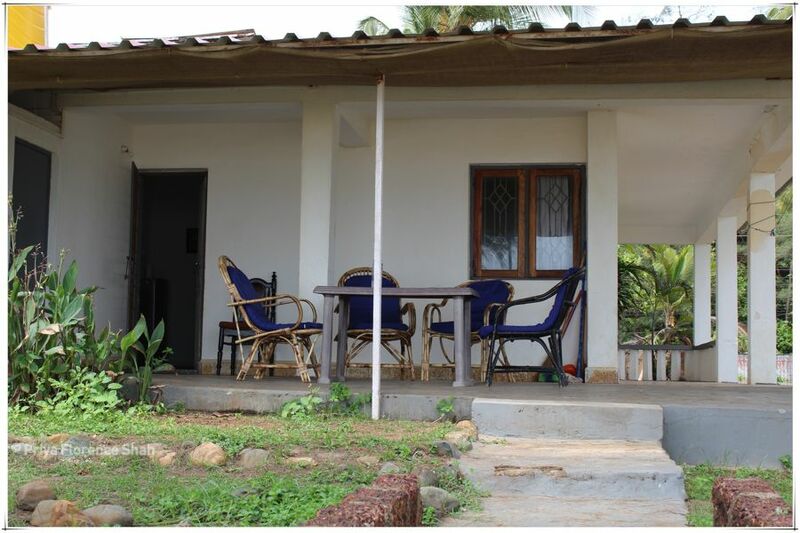 I thought I’d seen almost every beach in Goa worth seeing, until I chanced upon the perfect family accommodation at Talpona beach, in Canacona district at the very south of Goa. We stayed there for a week in a quiet little cottage with our dogs. There were very few people, mostly locals, on the beach and the few creatures we encountered were stray dogs, cows and crows. With excellent food, Wifi and only my family around, it turned out to be a very restful and relaxing vacation, in spite of the road trip. Read about my visit to Talpona Beach here. I went to McLeodganj a number of years ago to do a 5-day Introduction to Buddhism course at the Tushita Meditation Center. 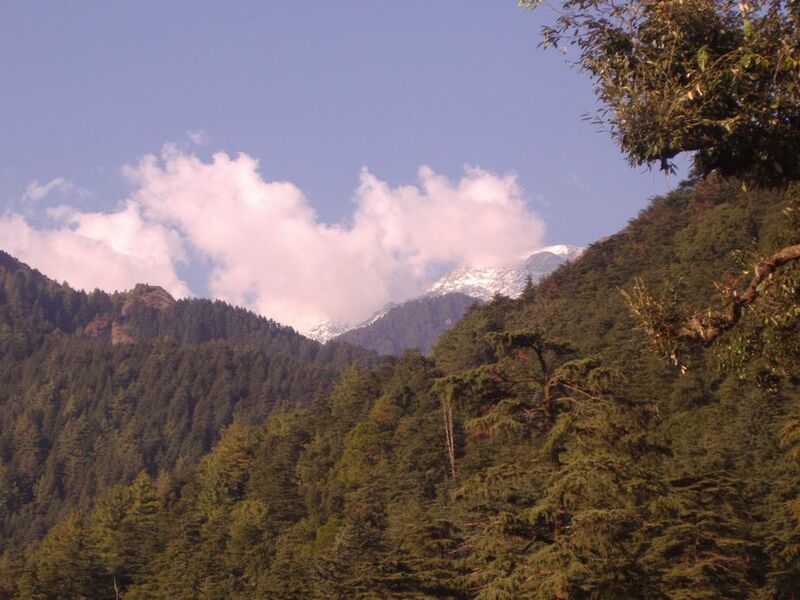 McLeodganj is a little town near Dharamshala – the Dalai Lama’s summer capital – in Himachal Pradesh. We spent hardly any time in the town itself and, except for my classmates, there were no crowds to disturb the serenity of our experience. 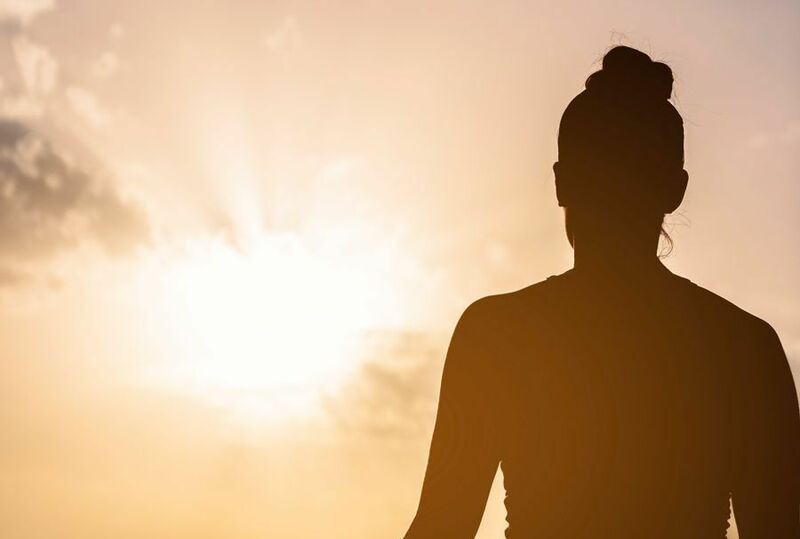 The meditation sessions were an introvert’s dream. To sit in silence and contemplate was just what I needed at that point in my life. But you don’t have to stay at a meditation centre to find peace and quiet here. 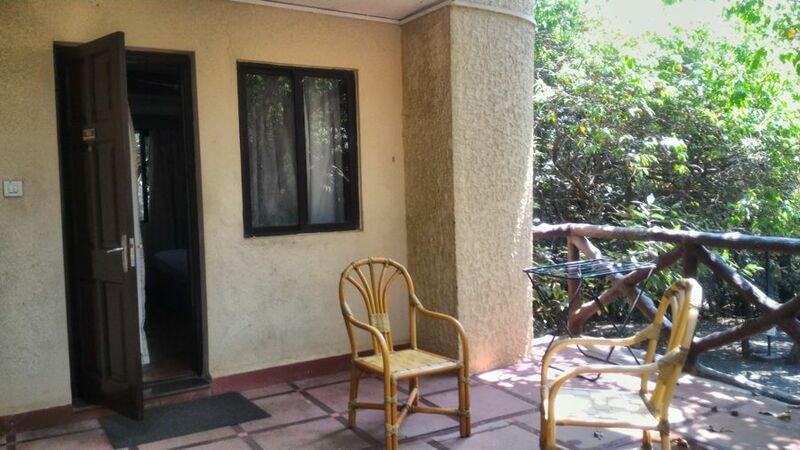 You can use AirBnB to book a quiet little cottage or room with stunning mountain views in the hills of McLeodganj. 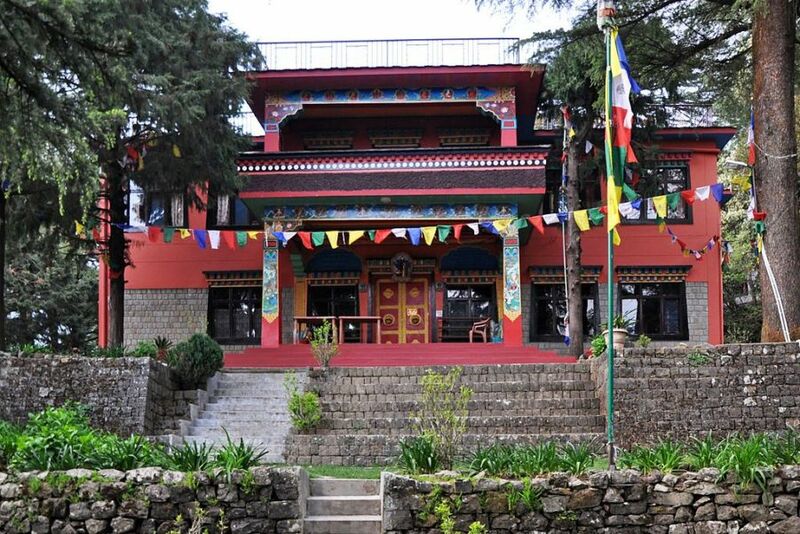 Read about my visit to McLeodganj here. Pahalgam is a sleepy little town in Kashmir with scenic locales and sights that would be perfect in a Bollywood movie (and many have been filmed here, too). We went to Kashmir on a 10-day trip in 2011 and Pahalgam turned out to be one of my favourite places ever. Walking along the quiet banks of the Lidder River, listening to only the sound of gushing water, was one of my favourite things to do. There were no crowds and the only people we met in the tiny market were locals going about their business. We saw no other tourists on our visit there – none where we were staying, at least. I envisioned myself staying for a week in a little cottage by the river, enjoying the spectacular view of the pine trees and water gushing by my front door. Oh, Heaven! 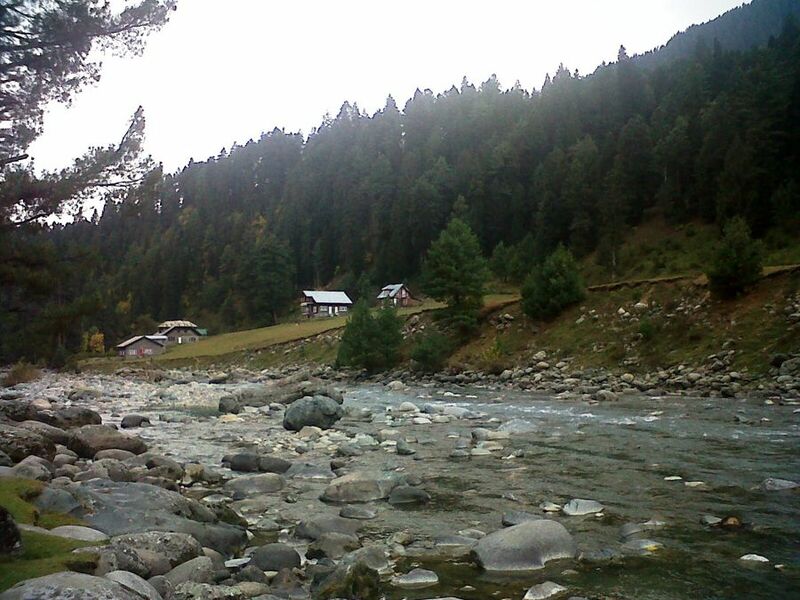 Accommodation in Pahalgam is also very cheap, so perhaps I’ll do that one day. 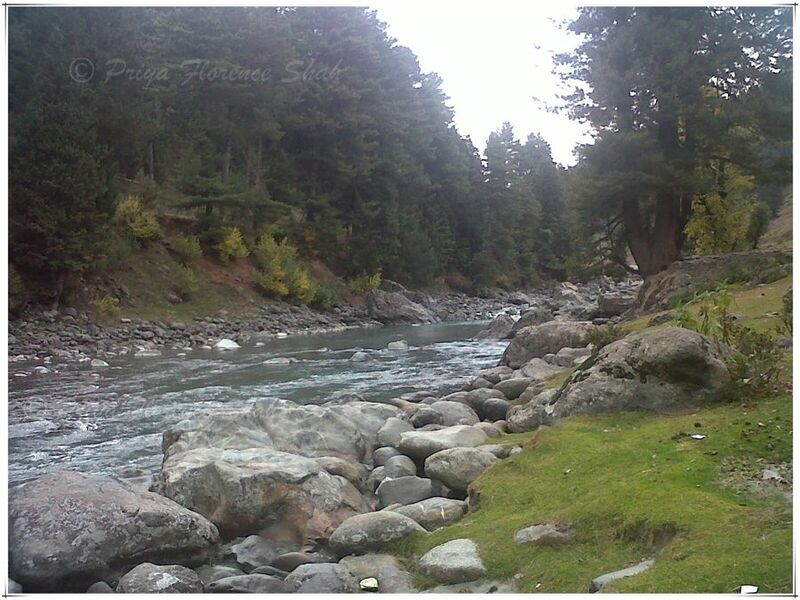 Read about my visit to Pahalgam here. Mahabaleshwar is a pretty popular tourist spot near Pune, so it’s not a place an introvert would think of as peaceful and quiet. No, for that you have to avoid staying in the town and instead book yourself a room at Club Mahindra Sherwood Mahabaleshwar. This quiet luxury resort is located in a forest where you’ll see very few humans around, except when you venture into the dining room for your meals. The only people who’ll disturb you are the people who come to clean your room. You may see a monkey or two and a few forest creatures, but these are welcome distractions. The resort is pretty far from the town (most of Club Mahindra’s resorts are), so you don’t have to go to any touristy places unless you want to. Read about my visit to Mahableshwar here. This remote destination is an introvert’s delight. A high-altitude mountain lake with spectacular views and few people to disturb your reverie… What more could one ask for? On a trip to Ladakh in May 2016, we stayed for a night in a tented camp at Pangong Tso (Lake). I wished I could have stayed longer, never mind that it was freezing cold and the food and amenities were pretty basic. For that matter, almost anywhere you go in Ladakh, you’ll find almost no crowds, and the only thing that will assail your ears is the wind blowing through the rugged snowy peaks. If sadhus and holy men are the ultimate introverts, it’s no surprise that they choose such remote places for their reflections. Read about my trip to Ladakh here. 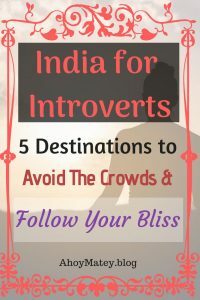 I hope that, with these 5 locations for introverts in India, I’ve done my bit to change your vision of India as a place filled with crowds and noise. Peace and quiet can be had in many places in India if you know where to look. These 5 travel destinations will help you find it. Wow I wish I knew about the beach in Goa. My husbands family is from there. We normally visit North. The sunset does look amazing. 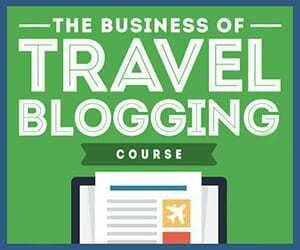 I am hoping to do a tour of India so thank you for these tips. Will definitely try and incorporate these in. It’s nice to see there is a range of places from beach to mountain. I’m from Goa too (ancestrally), Neha. Which part is your husband’s family from? Glad you liked the articles. Hope you can visit some of these places yourself. Hi Priya, Great post. My husband is an introvert and he hates crowded places, on the other hand, being an extrovert, I like few people around when I am travelling. 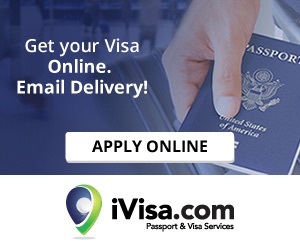 This causes a great deal of dilemma while choosing the destinations and I know my husband ultimately gives in to me. Poor guy. I know how he feels. 😀 Introverts usually give in to their more extroverted mates. It’s not entirely a bad thing. Sometimes we introverts need an extrovert to get us to try new things and get out of our self-imposed solitude. I hope you do manage to explore Pahalgam and Kashmir on the whole, Paolo. Nice list! We prefer less-crowded destinations than places that are swarmed with tourists. These destinations allow you to really feel and immerse with genuine local culture. We’re planning to hike in the Lower Himalayas. On the way home, we plan to stop by some nice places in India. I think we’ll pick one or two from this list. Glad you liked the list. I hope you get the chance to visit some of these places. Do let me know if and when you go. I too love places where it is less crowded as peacefully relaxation is high on my list when I go for holidays. You have given beautiful list of Indian destinations which are less crowded. 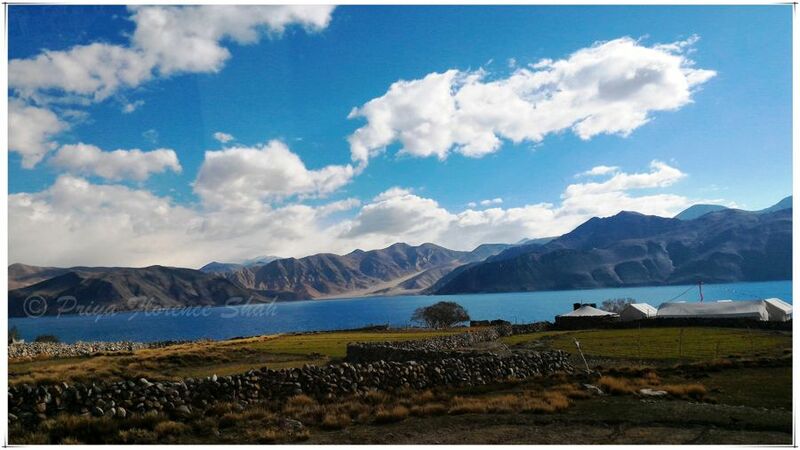 I would love to visit Mc Deolaganj and Pangong Lake as I love hills and mountains. Glad you liked the list, Yukti. If you love peace and quiet like me, you’ll love them. hey these places are so good to beat the crowd.I visited pahalgam and I loved there so much.It is one of my favorite place I visited till date. Great compilation. I agree, Mayuri. Pahalgam is really beautiful. I hope I get to go there for an entire week the next time I go to Kashmir. I’m not an introvert, but I can super appreciate escaping the crowd and taking it all in away from everyone else. I get that, Meygan. Everyone needs some downtime like that. now i want to visit india!! I hope you do, Kathleen. To be honest India has always been a country that was at the bottom of my list because of the crowds. But your article made me change my mind. Your top 5 really made a difference in my point of view of India. If I every go there I will definitely make sure to check out these places. Thanks for this! I’m so glad I made you change your mind, Marlies. There are a lot of beautiful places in India where you can find solitude. I hate crowds too, so I keep looking for new places to enjoy some peace and quiet. I’ve always put off going to India because of the crowds. This list may help me to change my mind. I wouldn’t mind spending some time on Talpona Beach. I’m glad I could inspire you to change your mind about India, Nancie. I hope it inspires you to visit India’s quieter places, Eli. 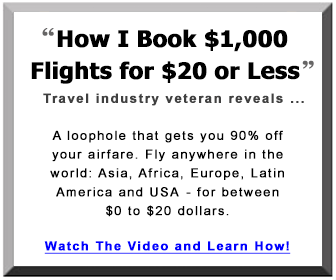 You made a good point right in the beginning…about avoiding Indian cities except as a layover. Introvert or not, seclusion is great for peace and connecting with oneself. I’m all for quieter destinations. Not many people that India has endless options like the ones you mention above. Thanks, Punita. Did not get your last sentence, but am glad you like the list. I love the big city life but I too love being an introvert and having a peace of mind. I really love if I could visit #3 and #5. But for #5, I definitely couldn’t stay in a tent and be cold. Great post! Yes, it can get really freezing cold in Ladakh. I love having a peace of mind and getting away from it all. Hate working and living in big cities and I really do try hard to avoid these. Havent been to India yet so still not sure what to expect when I get into the big cities. Best to avoid the cities altogether and just travel to the wide open spaces then. Great post! I live in one of India’s crowded cities, and for vacations, we always take off to less populated places. The north east of India – Meghalaya, Assam, Arunachal are great places for some quiet time, and highly recommend them too. I have never been to the North-East because of the dangers of travelling there, but I have heard so much about its beauty that I know I just have to go there someday. I just know so little about it, not sure where to start. Hey, thanks for sharing this interesting post. These places are really very beautiful to spend the vacation. I would like to share it with my sister as she is an introvert but loves to explore places as well. Keep sharing such wonderful places with the readers.